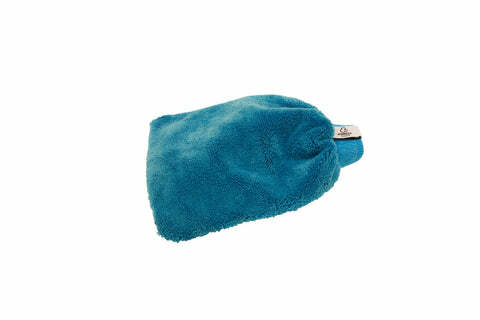 Plush, Scratch-Free Wash Mitt with Built In Scrubber! Tired of spending time removing bugs, tar, and other build ups from your car? Well so are we. In order to get these pesky build ups off our cars we developed a plush, scratch-free microfiber wash mitt with a built in scrubber on one side. Coined "The Scrubber" for its powerful scrubbing action, each mitt is made from a polyester blend and are ultra soft to the touch. Pair The Scrubber with Bug Delete and easily remove bugs, tar, tree sap, and other sticky films from your car, truck, SUV, or motorcycle. 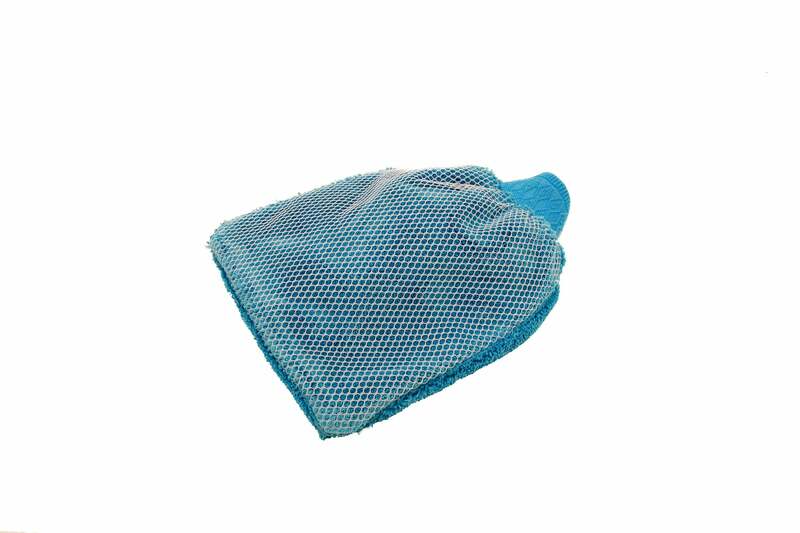 The soft lint-free material of The Scrubber will not scratch any surface, even delicate ones. An elastic cuff secures to your hand to keep The Scrubber in place during use. If you've never used a wash mitt don't worry they're simple to use. Simply put the wash mitt on your hand like you would a glove. Next, dip the wash mitt into a bucket of sudsy car wash soap like HyperMint Wash. Then, starting at the top of your vehicle cover all surfaces by using a back and forth motion. Finally, use the scrubbing side and Bug Delete to remove those pesky bugs, tar, or other spots.